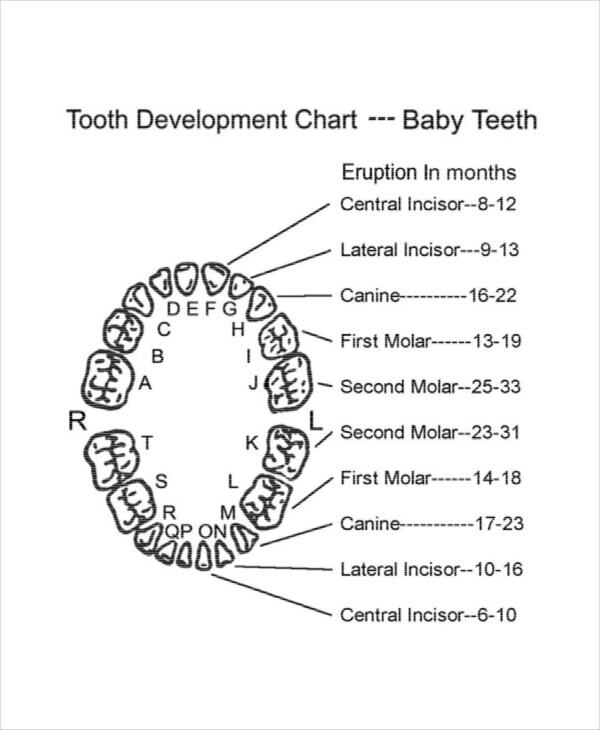 Don’t worry if your baby begins to have a teeth at an early months of age, this is just normal for babies. 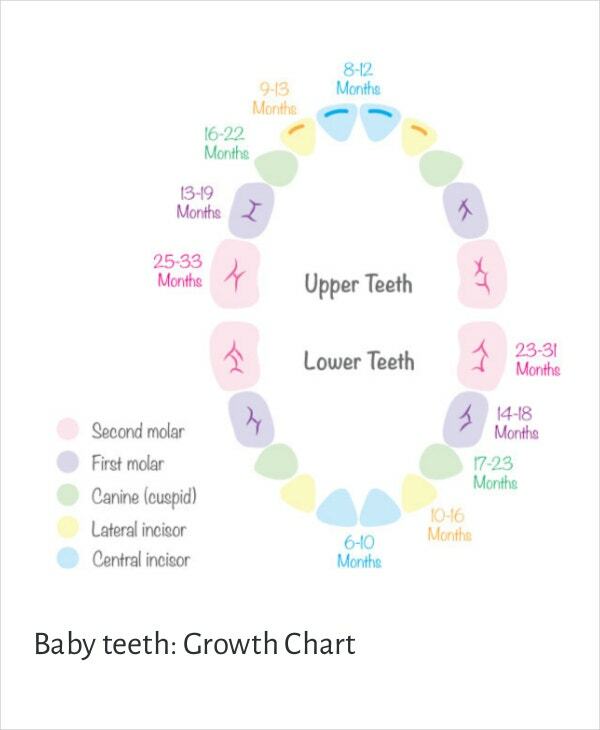 You can expect the right months for your baby to have a growth teeth and how to help your baby deal with this discomfort by downloading a tool known as Baby teeth growth chart. The tool is useful for anyone especially to parents. This can be their guide for monitoring the growth of their baby well. You can also see Baby Growth Chart Templates. 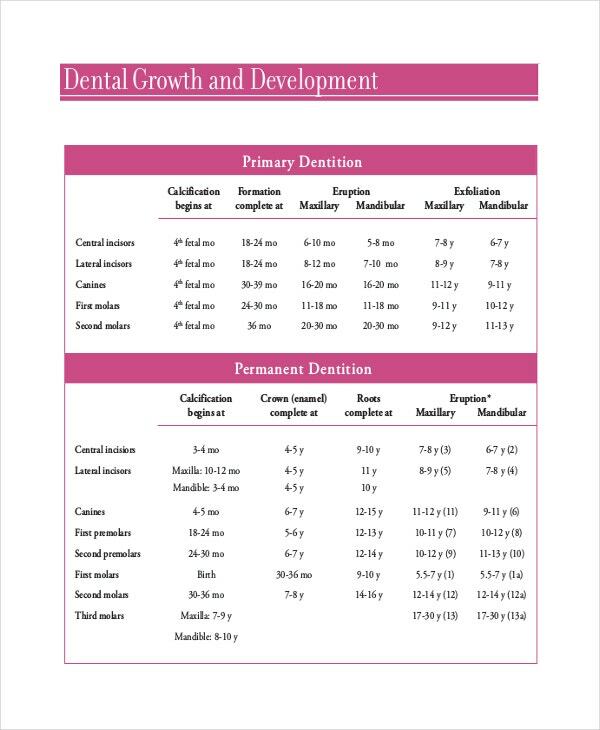 To make your baby teeth monitoring be in formal content and be in line with the suggested data then baby teeth growth chart pdf will be your assistant to have. In its format you are sure that is made to what is the recommended and facts that must be observed for a baby teething to appear can all be seen in this format. 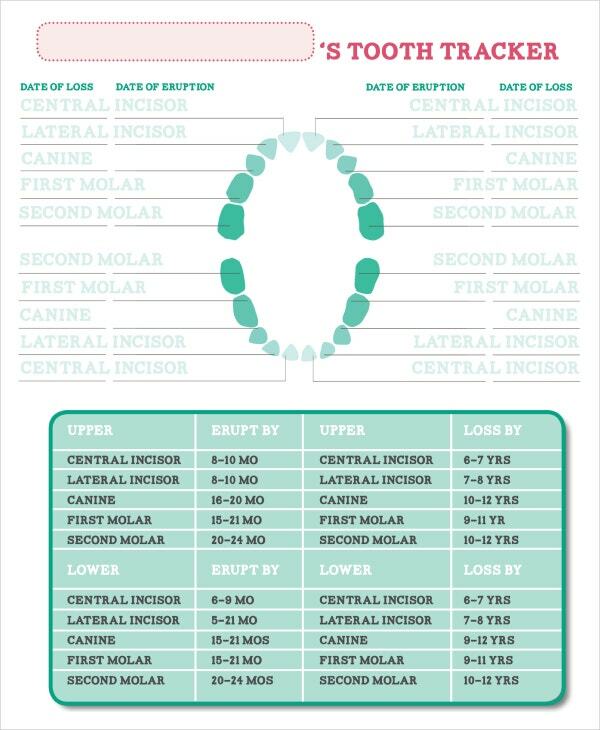 Baby teeth growth chart excel will be purposefully hands on in presenting and organizing the baby teething record. It is made via computer so you can clearly see the records you are entering and have an image to mark so you can know which teeth had erupt for the week or month that came. All baby teeth or deciduous teeth that are appearing in a babies gum will not appear in their expected date of appearance as well as their time of shedding. They will all be replaced by permanent teeth until the last set of tooth which is the wisdom tooth will erupt in early adulthood of a person. 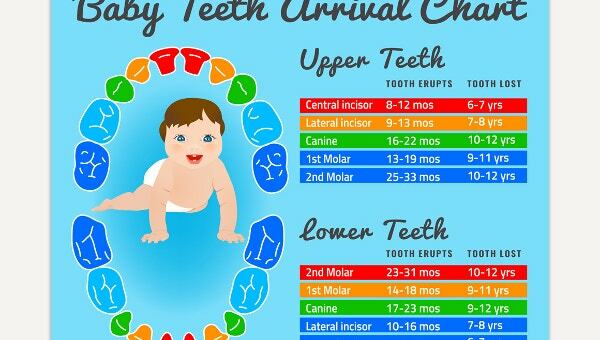 This chart is needed by parents and dentist to cater the oral health of the babies which is one of the requirement for a baby to grow normally and healthy. They should take additional hygienic measures to properly maintain the healthiness of their babies teeth and gums for the years to come. 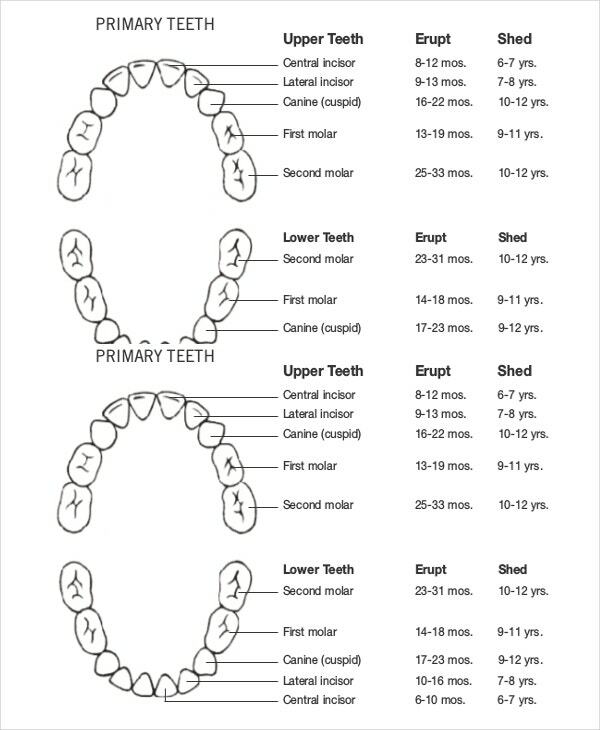 Get the worksheet you want for assisting you in recording each tooth that will appear in a babies gum. 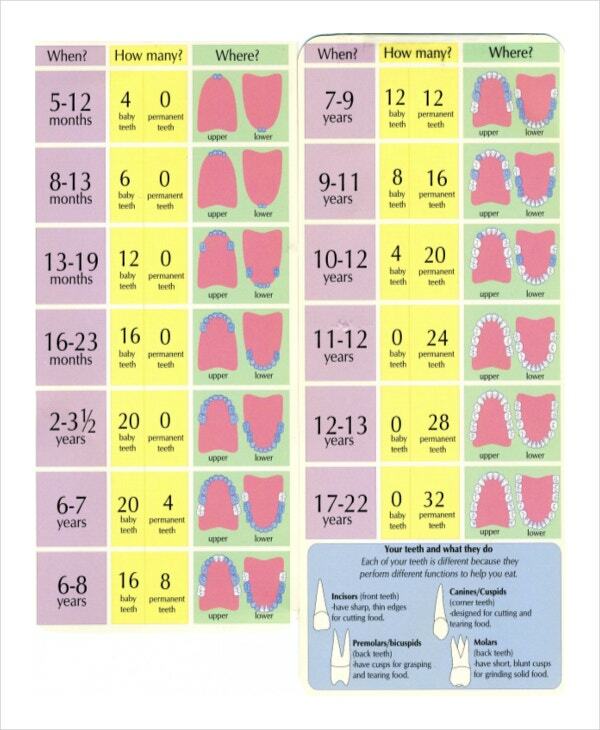 It is best appreciated when you will use a tooth diagram that shows the time of each baby tooth that will erupt. World Health Organization has the standard diagram for this chart that you can apply in your customization of the said chart. 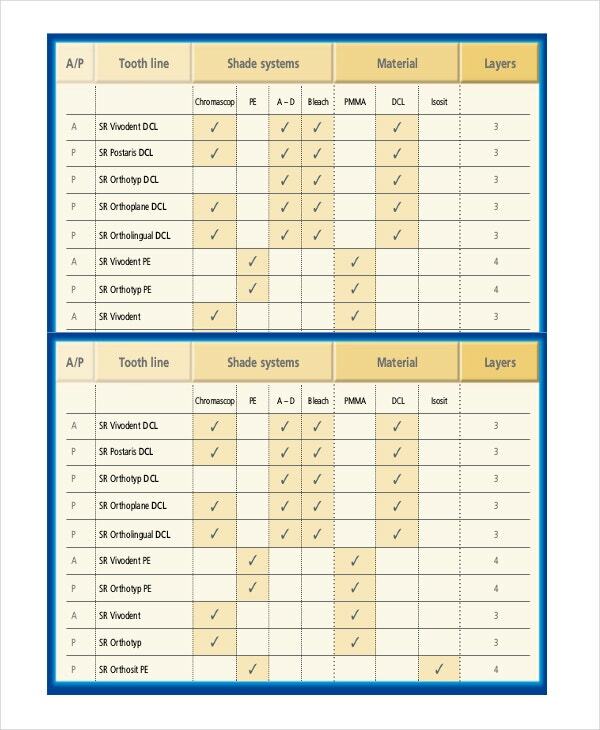 The diagram for this chart can be attained in sample format where the user can took it as their official tool for every personal or medical use. The user will be in comfort that they are utilizing the right tool in the said purpose of monitoring the babies tooth.